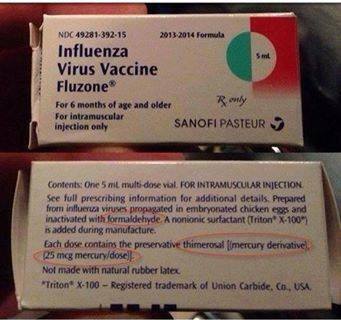 This is a photo of the packaging for a flu vaccine. You may notice that some of the listed ingredients are mercury and formaldehyde. America was founded by people who understood personal responsibility. Regardless of how you feel about the idea of vaccinating yourself, the tone of disdain and disrespect for those who choose to not vaccinate is unsettling. The debate appears to center around vaccinations, but it’s really more about respect for others, especially respect for the right of parents to make the choice for their own children. Whenever government uses the power of the iron fist to shame some for their personal choices, we have a problem.. The animosity appears to be between the “Pro-Vaxxers” and the “Anti-Vaxxers”. It may help you feel some compassion to know that the majority of those opposed to forced vaccinations have faced a personal tragedy with their own children or a close friend or relative. Ultimately where you fall in your own understanding depends on whom you trust. There are risks on both sides. The Amish, who have a lower vaccination rate, also have a far lower rate of autism. If your child is the one who is brain damaged or dies, it’s too late to take it back. There is no way to “unvaccinate”. There is no reverse medicine, antidote or undo button. It would be helpful if there were a test to determine if someone is sensitive or is genetically likely to have a bad outcome. There are some myths at the root of the philosophical chasm. Nobody knows everything that goes into re-wiring a person’s immune system and nobody can guarantee the result. All you can know is statistical data predicting the odds: 8 Things Pro-Vaxxers Say That Contradict Each Other. Any public, private, or parochial day care center, preschool, or nursery school shall notify the parent or guardian of a child enrolled in or attending the facility, upon request, of whether there are children currently enrolled in or attending the facility for whom an immunization exemption has been filed. It makes you wonder if they should just pin a scarlet letter on these students. This new bill is all about using the tool of shame and humiliation to achieve a higher rate of compliance. The additional information is of no practical value to the other parents. 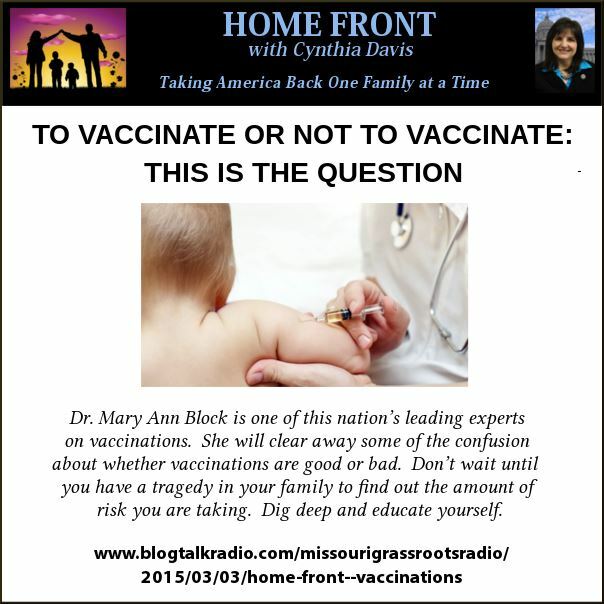 There is nothing anyone can do differently as a result of finding out who is not vaccinated. 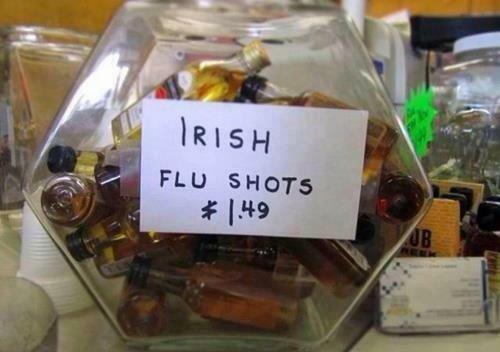 You could be in the grocery store standing right next to someone who had not been vaccinated and not know it. When lawmakers file bills, it certainly would help if they would consider the impact their bills may have on suppressing and extinguishing freedom and personal responsibility from our culture. 1.) Don’t be led into the trap of issuing judgement and criticism on others who have not vaccinated. They may have very good reasons for their decisions. 2.) Check what kind of vaccination laws are being proposed in your state. 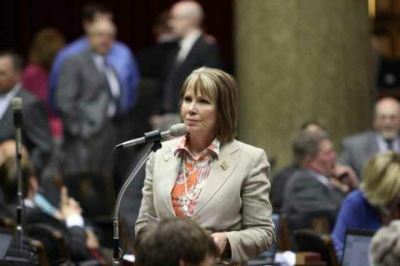 If you live in Missouri, let Rep. Franklin know that there is another side to this issue. 3.) If you affiliate with the Republican Party, let other Republicans know that this kind of idea is contrary to the values in the Republican Platform and question why anyone in the Republican Party is pushing for ideas that strip us of our parental choices and personal responsibility. If vaccinations are such a great idea, let the drug companies act like a free-market entity. They need to do their own promotions and bear the burden of convincing the public.